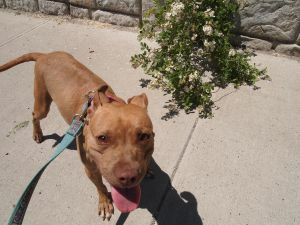 Paige was pulled from a local municipal shelter and is thriving in her foster home that includes another pittie. She loves people and dogs. She is up-to-date on vaccinations, has a microchip and has just been spayed. She is a dream and will make someone very happy. For more information on Paige, contact [email protected]. 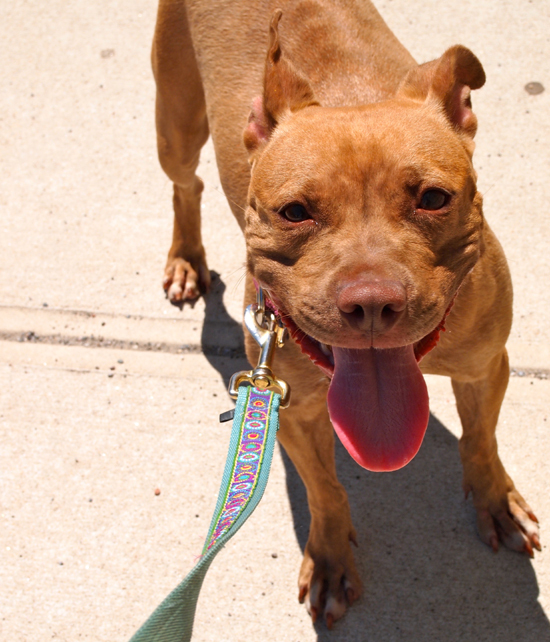 Paige is the first dog who was officially rescued and is available for adoption through Bully Project. That’s right folks – That Touch of Pit is branching out! 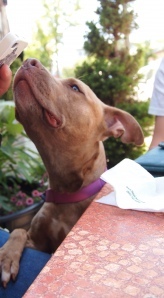 Our partnership with Bully Project has evolved into being a rescue organization! We’re estimating that this sweet girl is a year and a half old, and she only weighs 25 lbs! The best part is: she’s full grown! She’s the pocketiest of pocket pitties we have ever seen! 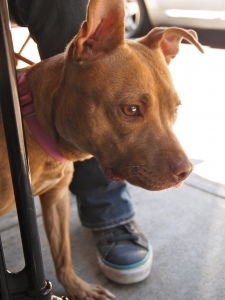 She’s friendly with all people, kids, and dogs; she happily shares her toys; she’s completely quiet; and she’s small enough to comfortably fit in any size New York City apartment. Paige is spayed and has all her vaccinations and microchip – and as soon as she’s all healed up, she’ll be ready to go to her new home. She’s housebroken and never barks, and is crate trained. 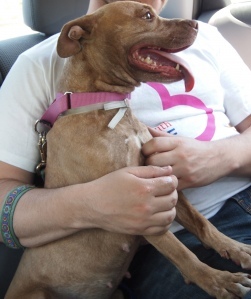 We really wish this sweetie never had to leave, but there are many more dogs out there who need our help! 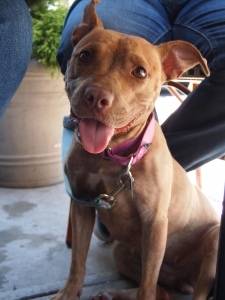 If you or anyone you know might be interested in adopting Paige, please email us! You can reach us at [email protected] or [email protected]. wow, she sounds like a dream! What a cutie! I don’t think I’ve ever seen such a small pittie! She’s so cute. 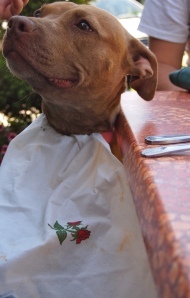 @annedreshfield We know, we love that they say she is the pocketiest of pocket pitties!